Sudan President Al-Bashir. Link to image. Faced by serious economic crisis, Sudan has shut 13 of its overseas missions and ordered job cuts at the foreign ministry. 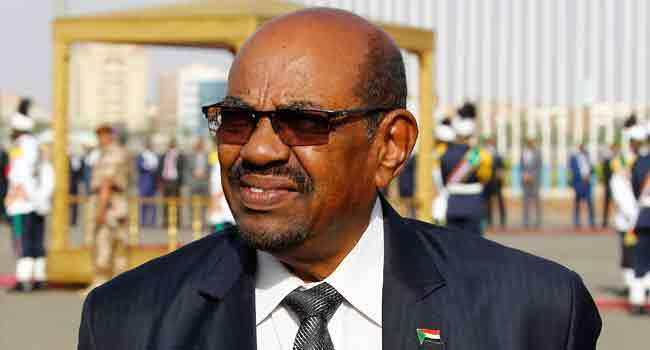 President Omar al-Bashir gave the order , according to report on Thursday. Bashir’s order comes days after he fired foreign minister Ibrahim Ghandour after he said Sudanese diplomats abroad had not been paid for months. “President Omar al-Bashir issued a decree ordering the closing of 13 Sudanese diplomatic missions,” the official SUNA news agency reported early Thursday, quoting the decree. It did not name which missions were to be shuttered. The president also ordered seven other missions to reduce their diplomatic staff to just one person, and a broader 20 percent cut to administrative staff at all missions, SUNA reported. “The decisions have been taken in order to cut costs given the economic situation in the country,” the decree said, according to SUNA. Bashir’s order, in addition, included the dismissal of the entirety of the administrative staff at the foreign ministry, with diplomats taking over their duties, the agency reported. There were no figures on how many job cuts were to take place in total. Sudan has been facing financial difficulties amid an acute shortage of hard foreign currency that has seen the African country’s economic crisis worsen. Ghandour had been the first official to portray a grim picture of the country’s economic woes publicly when he told parliament in April that for months Sudanese diplomats had not been paid and many wanted to return to Khartoum. Bashir sacked him a day later on April 19. Sudan has been hit hard by an acute shortage of foreign currency that has seen the pound plunging against the dollar, forcing the central bank to devalue it twice since January. Expectations of a quick economic revival had been high after Washington lifted a trade embargo. But officials say the situation has not changed at all as international banks continue to be wary of doing business with Sudanese banks. Sudan’s overall economy was hit particularly hard after the south separated from the north in 2011, taking with it about 75 per cent of oil earnings. A surging inflation rate of about 56 percent, regular fuel shortages and rising prices of food items have triggered sporadic anti-government protests in Khartoum and some other towns. El Obeid — The President of Sudan, Omar Al Bashir, has promised ‘to re-build the Sudanese Armed Forces and to equip them with up-to-date technologies’. He also undertook to raise army salaries. Speaking today at the inauguration the Fifth Infantry Division Officer’s Club in El Obeid, capital of North Kordofan, Al Bashir said: “The armed forces have the most advanced military factories in the region and weapons and ammunition used by the army are made by Sudanese factories,” the official Sudan News Agency (SUNA) reports. Speaking in his capacity as Commander-in-Chief of the Sudan Armed Forces, Al Bashir added that “Sudan has been enjoying a real peace thanks to the efforts of the military. In July 2004 UN Security Council resolution 1556 imposed an open-ended arms embargo on all non-governmental entities and individuals operating in North Darfur, South Darfur, and West Darfur in reaction to the ongoing human rights abuses and deteriorating humanitarian situation in the region. The arms embargo was strengthened by subsequent UN Security Council resolution 1591 (March 2005) however UN panels of experts repeatedly observed military equipment in Darfur for which there was good reason to assume that it was delivered to Sudan after that date. In October 2010 Security Council resolution 1945 further strengthened the arms embargo by deciding that all States shall ensure that any sale or supply of arms and related materiel to Sudan not prohibited by resolutions 1556 and 1591, are made conditional upon the necessary end user documentation so that States may ascertain that any such sale or supply is conducted consistent with the measures imposed by those resolutions. The office of the UN Secretary-General fielded critical questions regarding a confirmed meeting between Antonio Guterres and Al Bashir occurred in the Ethiopian capital of Addis Ababa on the periphery of the African Union summit in late January. At the daily press briefing in New York on January 31, UN deputy spokesman Farhan Haq told reporters that it occurred out of “operational necessity”, and that “the rules of procedures were followed” in terms of informing the ICC prosecution of such a meeting. In October 2017, the USA issued a decision to lift a 20-year trade embargo on Sudan, however the decision leaves other sanctions in place for the time being, including those against individuals with arrest warrants related to atrocities committed during the conflict in Darfur. And it does not remove Sudan from the list of state sponsors of terrorism. In addition to those deployed internally, Sudan has had hundreds of troops in Yemen since 2015 to bolster the mostly Gulf Arab alliance fighting the Iran-allied Houthi movement. The coalition includes the United Arab Emirates, Bahrain, Kuwait, Qatar, Egypt, Jordan, Morocco, Senegal and Sudan. In April 2017, five Sudanese soldiers were killed when Yemeni forces backed by the coalition took control of a volcanic mountain on a road toward the Khalid bin al-Waleed military base, a key stronghold of the Houthis in southwestern Taiz province. In June 2017, 17 Sudanese soldiers were killed and dozens more wounded at Midi of Hajjah province, in north-west Yemen. March 2, 2018 (TONJ) – The newly appointed governor of South Sudan’s Tonj state, Anthony Bol Madut has issued an order calling for disarming of all youth involved in community clashes within the state. Dozens were killed in clashes that occurred in Tonj last week. Clashes between the Twic and Kongoor communities on Saturday also left more than 20 people, state authorities told Sudan Tribune. The incident, officials said, was started when youth from Twic county raided cattle from the grazing land of Kongoor in Jal-wau county. Despite the skirmishes, normal situation has reportedly been restored. A disarmament order was on Thursday ordered by the governor, calling on all armed civilians to handover their guns within a week. “All the chiefs, community leaders and commissioners are directed to inform the armed civilians to lay down their guns or gather their guns under their chiefs and hand them over to the government,” said the governor. A peace conference, he stated, will take place after the disarmament process. Goethe Institut in Berlin (Getty). Link to image. December 7, 2017 (JUBA) – Goethe Institut, a German-based institute, has donated 200 books to the Aggrey Jaden Cultural Centre, which develops children through arts and music creativity. At the center, children aged 5 to 13 years are taught art and craft, drawing and molding, formal education, music and tree planting. “To keep children out of trouble or doing bad things after they come back from school or when they are on holidays, the after school program with music, African drum beating lessons for boys and girls keeps them busy till they go home in the evening,” the center said in a statement extended to Sudan Tribune. Lack of funds run these activities at the cultural center attracted the German embassy that saw Goethe Institut donate childrens’ books. Also, through the German embassy’s small scale project fund, the cultural center had been earmarked to receive a simple solar backup system and a water tank, which will facilities its activities. “Now, the centre can offer a new activity for the kids: 200 kids’ books age 2 up to 15 are given by German Goethe Institut to the center. Story reading and self-reading time will be the new activity to encourage the children to read and learn”, the center further noted. The Aggrey Jaden Cultural Center is a community-based non-profit cultural organization located in Juba. It was founded by a former administrator in the old Sudan in 1924, who passed on in 1985. The centre was established with the aim and vision of changing peoples’ lives by giving back to the community through art and music. Former Botswana president Festus Mogae says African leaders should ask themselves whether they are promoting peace or have departed from the values of ubuntu and acquired a selfish character that encourages self-interest. He was a keynote speaker during the annual Chief Albert Luthuli Memorial Lecture at the University of KwaZulu-Natal’s Westville campus on Saturday. This year marks 50 years since Luthuli‚ the longest serving ANC president‚ died under mysterious circumstances on July 21 1967. Mogae described Luthuli as one of the “historic and heroic figures in Africa’s political history” whose major strategy “was peaceful resistance and a passionate belief in peaceful co-existence of people‚ communities and nations”. He said Luthuli’s values should continue to be the lodestar of African leadership today. He said Luthuli was an effective and impactful leader who believed in peaceful co-existence‚ social harmony‚ freedom and equality before the law. “The question that arises for us who received peace as the most powerful tool from Chief Albert Luthuli and others like Nelson Mandela‚ is whether or not‚ as African leader of today we are promoting peace and leading peaceful communities and societies. “In other words‚ are treating the peaceful character of African leadership and forefathers sacredly and respectfully or have we departed from the values of ubuntu and acquired the individualistic and selfish character that encourages a culture of exclusive self-interest which contradicts the African communal personality? Mogae‚ who is the current chairman of the Joint Monitoring and Evaluation Commission on the Implementation of the Agreement on the Resolution of the Conflict in South Sudan‚ said Luthuli was a “distinguished man of peace” whose voice could not be drowned by the oppressor. A leading U.S. diplomat visiting Sudan said the United States is willing to work with the Sudanese government to help it achieve the conditions necessary to remove its designation as a “Country of Particular Concern” in the U.S. State Department’s annual International Religious Freedom Report. Deputy Secretary of State John J. Sullivan was speaking on Nov. 17 at the Al-Neelain Mosque in Omdurman, located on the western bank of the Nile River, which separates it from the national capital. The event at the mosque included leading Muslim and Christian clergy. Sudan is 97 percent Muslim, and the small Christian community has faced harassment, especially since the predominantly Christian and animist south of the country became the independent state of South Sudan in 2011. The State Department’s 2016 International Religious Freedom Report cited reports of government arresting, detaining, or intimidating Christian clergy and church members, denying permits for the construction of new churches, closing or demolishing existing churches and attempting to close church schools, restricting non-Muslim religious groups and missionaries from operating in or entering the country, and censoring religious materials and leaders. It is not only Christians who face harassment. Ethnic minorities have also been the victims of military campaigns against the government, and Sudanese President Omar al-Bashir is wanted by the International Criminal Court on genocide charges linked to conflict in the Darfur region. 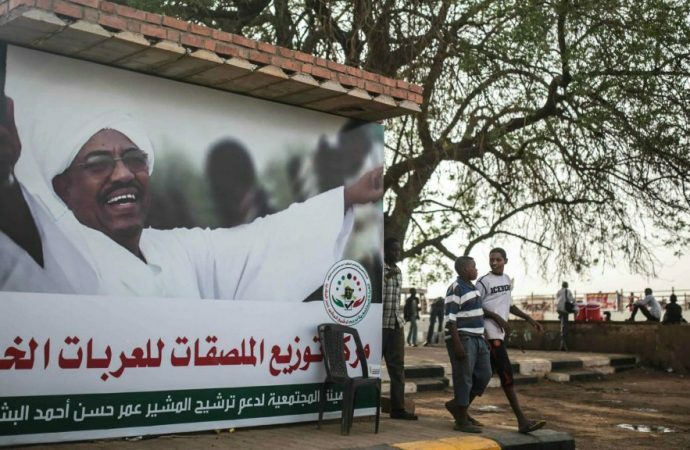 Despite the fact Sudan is designated by the State Department as a state sponsor of terrorism, the Obama administration in 2015 sought to improve relations with Khartoum. In June 2016, Sudan and the United States initiated a historic framework for improving ties between the two countries, the so-called Five Track Engagement Plan. The plan called for Sudan to end hostilities in conflict regions such as Darfur, Kordofan, and the areas bordering South Sudan; improve access for humanitarian agencies in the country; refrain from interfering in South Sudan; cooperate with regional efforts against the Ugandan militant group, the Lord’s Resistance Army; and cooperate with the United States in counter-terrorism efforts. Citing progress in these areas, the U.S. government last month ended some sanctions against the Sudanese government. It achieved another victory on Nov. 16, when Sudan said it will cut all military and trade ties to North Korea, further isolating Pyongyang. However, Sullivan said much work remains to be done, especially in the area of human rights. He said the reason he was meeting with Muslims and Christians in a mosque was to “emphasize that the United States cares deeply about religious freedom in Sudan. “Interfaith understanding, respect, and the protection of religious freedom and other human rights are bulwarks against extremism,” the U.S. diplomat said. Sullivan said by taking steps to enhance protections for religious freedom, the Sudanese government will make the entire country more stable and secure. During their meetings with government officials, the U.S. delegation in Sudan suggested the government convene a roundtable with members of religious minority groups about property registration issues. Sullivan said this was because officials had told the delegation registration problems have been used as the rationale for the demolitions of places of worship. “The Government of Sudan, including the Federal States, should also immediately suspend demolitions of places of worship, including churches and mosques,” he said. Sullivan brought up the history of the Catholic Church in the United States as an example of how a country can move from religious distrust to a more pluralistic society. Sullivan said recalling such history “seems quaint” today, but added it took many decades – “it was not easy” – to reach the point where it is “nearly unthinkable” that one’s status as a Catholic in the United States would serve as a disadvantage to a person’s ambitions for life. “The American experience in this regard underscores that respect for the human dignity of every person – regardless of religious belief or origin – is a key component of not only protecting human rights, but also fostering a society that can flourish, build upon each other’s strengths, and move forward together,” he said. Sullivan concluded by saying he was “deeply encouraged” by his meetings with Sudanese government and civil society representatives, and said the religious leaders he met were a “deep source of inspiration. “Indeed, there are challenges that lie ahead, but we should all have reason for hope and optimism about the growing engagement between our two countries,” he said. U.S. President Donald Trump has promised that the protection and promotion of religious freedom is a foreign policy priority for his administration. This article incorporates material from the Associated Press. Seven new cholera cases were recorded in the camps for the displaced near Zalingei, capital of Central Darfur, over the weekend. The isolation centre in Nierteti received four new patients. Cholera is spreading again in eastern Sudan’s Sennar. Hundreds of people have reportedly been infected with Hepatitis B in Blue Nile state’s Geissan. El Shafee Abdallah, Coordinator of the Central Darfur camps for the displaced told Radio Dabanga that two new cases of cholera were recorded in Khamsa Dagayeg camp on Friday, and five in Hamidiya camp on Friday and Saturday. The number of cholera patients being treated at the isolation centre of the Zalingei Royal Hospital reached 13 on Sunday. 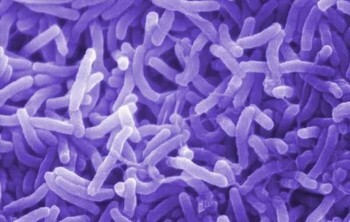 A medical source reported to this station from Nierteti on Sunday that the isolation unit of the Nierteti Hospital recorded four new cases of cholera over the weekend. “Three patients come from Nierteti, while the fourth came from the camp for the displaced north of the town”. There are currently ten people being treated for cholera at the isolation ward of Nierteti Hospital, he said. The hospital of El Souki received eight new cholera patients over the weekend. A pregnant woman in her seventh month died of the infectious disease on Sunday, a medical doctor reported to this station. He said more cases are expected to reach the hospital, “because of the easy transmission of infection and the deterioration of the environment “. At least 400 people have been infected with hepatitis B in Village 10 in Geissan locality in the south-east of Blue Nile state. A doctor in El Damazin, capital of Blue Nile state, called on the residents of Geissan to exercise caution to prevent infection with hepatitis B.
September 11, 2017 (JUBA) – The United States government is considering the imposition of further targeted sanctions and an arms embargo on South Sudan if its warring factions do not agree on how to resolve the ongoing war, diplomatic sources told Sudan Tribune. The proposal was, however, rejected by Russia, which reportedly argued that such a move would not be effective since the war-torn East African nation was already in possession of plenty of illegal arms. On Wednesday last week, the U.S government imposed sanctions on two serving South Sudanese officials and the ex-military chief of staff, accusing them of fueling and profiting from the country’s civil war. The U.S Treasury Department in said a statement on website that it had blacklisted Malek Reuben Riak Rengu, deputy chief of defense for logistics in the SPLA; Paul Malong, former army chief who was dismissed in May; and Minister of Information Michael Makuei Lueth. The measures freeze any assets in the U.S or tied to the U.S financial system belonging to the three men. The U.S Treasury said Riak was central to weapons procurement during the first few years of the conflict and helped plan an offensive in Unity State in April 2015. It also accused him of issuing military contracts at inflated prices “in order to receive extensive kickbacks. The U.S. Treasury blacklisted All Energy Investments, A+ Engineering, Electronics & Media Printing and Mak International Services which it said was owned or controlled by Malek. The Treasury said former chief of staff Malong “did not discourage” the killing of civilians around the town of Wau last year. The U.S Treasury also accused the South Sudanese information minister of attacks against the U.N mission in South Sudan and obstructing peacekeeping and humanitarian operations in the country. In July 2015, the United Nations Security Council imposed sanctions on six South Sudanese generals accused of fuelling conflict in the world’s youngest nation. The generals, three from each side of the conflict, were meant to face global travel bans and asset freezes. However, in November 2016, the U.S demanded the UN Security Council to impose sanctions on Malong and minister Lueth for hampering the peace process in the world’s youngest nation. The armed opposition faction (SPLM-IO) leader, also the country’s former First Vice President, Riek Machar was also on the proposed list. South Sudan’s civil war has killed tens of thousands of people and displaced more than two million people since it broke out in mid-December 2013. September 2, 2013 (JUBA) – The Danish Minister of Development Cooperation, Ulla Tørnæs has pledged to continue providing humanitarian aid to South Sudan as millions struggle to survive because of a lack of food, water, healthcare and basic shelter. Tørnæs was in war-torn South Sudan where he met the head of the United Nations Mission in South Sudan (UNMISS), David Shearer. Shearer briefed the Danish minister on the political, security and the humanitarian situation in the war-torn East African country. The two officials reportedly discussed the challenges of protecting civilians and building durable peace in a country where millions of people have fled their homes because of the civil war that erupted in 2013 following a political dispute within South Sudan’s ruling party. “We are very worried about the humanitarian situation with two million refugees in the neighbouring countries and two million internally displaced people as well as learning about the humanitarian workers having difficulty in access and doing their work,” said the Danish minister. “We are contributing right now, about $30 million US dollars to the humanitarian assistance and I look forward to continue very strong Danish support to the humanitarian situation in South Sudan,” she added. The Danish official also held meetings with the South Sudanese minister of foreign affairs and his humanitarian affairs counterpart, with discussions reportedly focused on implementation of the August 2015 peace agreement. “I really urge the politicians of South Sudan to make sure that peace will come. Peace and security are necessary to create prosperity so that the streets of Malakal can once again boom with life and business,” stressed Tørnæs. Over the last three years, the Danish government has reportedly provided US$12 million in development assistance to South Sudan.